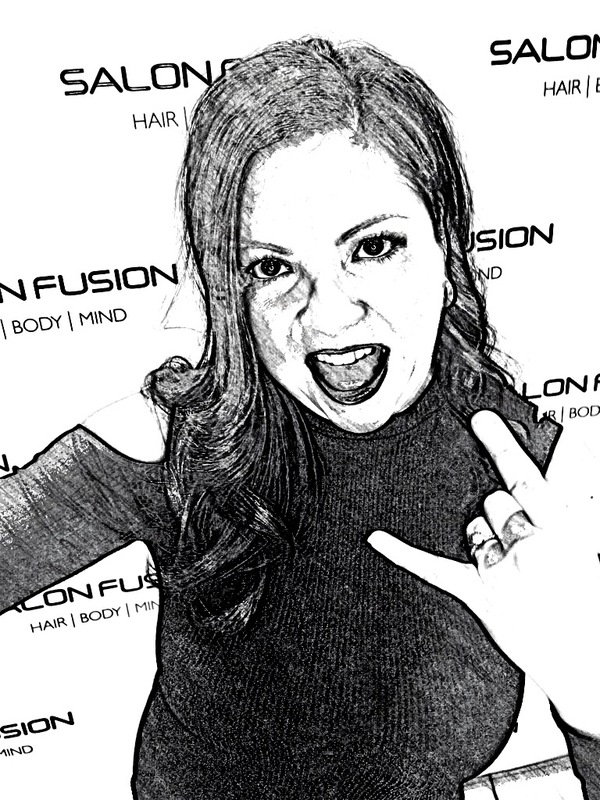 3 EASY WAYS TO GIVE THE GIFT OF SALON FUSION. ENJOY EXCEPTIONALLY CONVENIENT GIFT GIVING WITH THE SALON FUSION GIFT CARD OR CREATE AN eGIFT CERTIFICATE ONLINE NOW. A great gift… and convenience for you. Get yours in-salon Gift Card at Salon Fusion Located in Wilmette or by phone at 847.920.9500. Create online and print your eGift Certificate from your home printer. Gift Card and eGift Certificate Policy: Gift Cards and eGift Certificates never expire. Present your Gift Card or eGift Certificate at Salon Fusion for services and/or products. Gift Cards and eGift Certificates have no cash value and are non-refundable and non-transferable. Salon Fusion is not responsible for lost Gift Cards or eGifts Certificates. If lost, there is a $25 replacement fee. You can add value at any time. Cards are a convenient way to prepay for all available services. Gift Cards and eGift Certificates will be debited for the service amount for any no-show appointments. ©2019 Salon Fusion Hair | Body | Mind. Since its inception, the Proust Questionnaire — an unscientific but nonetheless illuminating personality test created in the salons of nineteenth-century Paris — has shed light on the character traits and quirks of the many men and women who have completed it. Named after the most famous early figure to fill out the questionnaire, Marcel Proust, a similar version of the one he took now lives on the back page of Vanity Fair each month, providing a look into the minds of well-known writers, actors, politicians and other public figures. Q: What superhero quality would you like to have? Q: What is your marked characteristic? Q: What is your favorite motto? Q: What is the quality you most like in a person? Q: Who is your favorite designer? A: HAVE FUN! Dance and have fun! …When you are older you will ache! A: Being surrounded by the people I love, making sure they have a happy and healthy life. A: I would love to be able to read people’s mind to see what they are thinking. A: My heroes are my parents. They are the strongest, most hard working people I’ve ever met. A: I’m very energetic and the life of the party! A: Success takes you where character cannot sustain you. A: When people are genuine you can feel it instantly when you meet them! A: Life moves pretty fast – if you don’t stop and look around once in a while, you can miss it! A: Being around positive people who encourage each other to live and be happy. A: My parents. They have supported me throughout every tough time that I’ve had in my life. A: I don’t have one. I like to shop for the best bargains and piece everything together on my own. A: Staying fashion forward, and GREAT hair! A: A ring I purchased before starting beauty school – it signifies celebrating your passions in life! A: Jesus is my king! A: I don’t have one. I believe that people that help others in need are heros. A: My Father is my favorite person – he inspires me in everything I do! A: I don’t have one – I am original! With 21 years of experience in the hair industry, Giuseppe started his passion for styling hair at the age of 18 at a salon located in downtown Chicago. He later moved to the North Shore where he has been working for over 16 years. For over 10 of those years he worked at Mario Tricoci Hair Salon and Day Spa in Old Orchard as their Creative Director. He has trained in LA, New York, Miami, Canada, London, and Italy at various institutions such as Vidal Sassoon, Toni & Guy, Rusk, Bumble and Bumble, Redken, and with Nick Arrojo, from “What Not To Wear”. In addition, Giuseppe is a certified Bumble and Bumble Network Educator, a certified Great Lengths Hair Extension Specialist, a certified Brazilian Keratin Treatment Specialist, and is certified with Mizani Relaxers. He also specializes in Thermal Straightening and So Cap Extensions. Giuseppe has participated in several makeover shows on television, such as Jenny Jones and the Oprah Winfrey Show. His work has been published in North Shore Magazine, In-Style Magazine and the Chicago Tribune. He has also been featured in Chicago Health and Beauty on their “Make Over of the Month.” He is currently the only stylist in Wilmette that is featured on NaturallyCurly.com. With his passion growing in the industry, Giuseppe continues to work onstage at fashion shows, and with models in front of the cameras; utilizing the latest techniques and show casing the latest trends. In his last photo shoot, he took 1st place in the “Rising Star Hair and Photo Competition.” If it’s one thing Giuseppe is known for, it’s making sure that the style works for you, and that you can work with your style. Dmitriy has built his reputation on the belief: “do not mass produce the haircuts but tailor the cut to an individual’s look and for their unique features.” Dmitriy started his career with Mario Tricoci Hair Salon and Day Spa in 1995. During his 10-year tenure with Mario Tricoci, he has participated in extensive training in cutting and styling hair. He has also dedicated 7 years in educating new stylists. Dmitriy attended international educational seminars, as well as hands-on cutting courses with Vidal Sassoon in Toronto, Canada, and London, England. While in London, he attended London’s Fashion Week. He has participated in numerous TV makeover shows, such as Jenny Jones. Dmitriy was involved in various hair competitions and took 1st place in the 2003 “Rising Star Hair and Photo Competition”. In 2007 Dmitriy attended a hands-on class in New York, on Advanced Razor Cutting with Nick Arrojo of “What Not To Wear”. In January 2010, he attended The Summit Course, sponsored by Redken. Dmitriy continues training with Bumble and Bumble and his most recent class on Razor Cutting was in New York in April 2010. Dmitriy also specializes in human hair extensions by Great Lengths and Keratin Hair Treatments. In the last 6 and a half years, Salon Fusion has grown and Dmitriy continues to educate new members of the Salon Fusion team, as he believes continuing education is key to success.